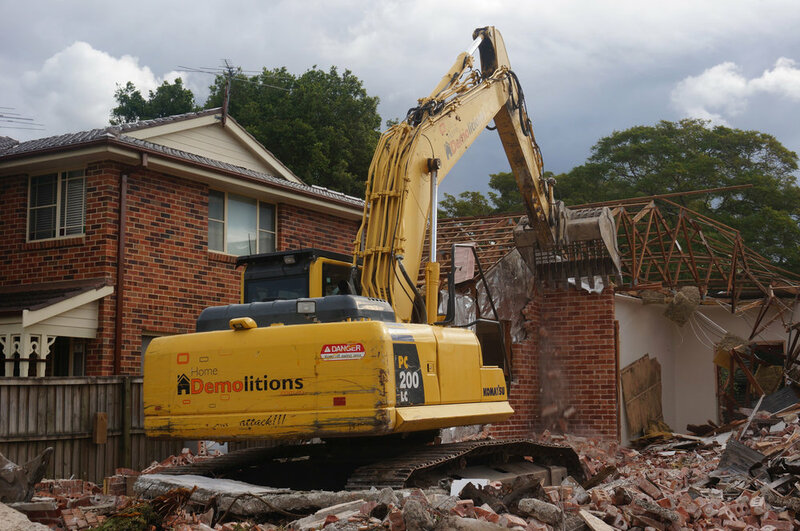 West Ryde, NSW 2114 | Home Demolitions Home demolitions are the experts in home and building demolition with professional processes and services at affordable rates in Sydney. 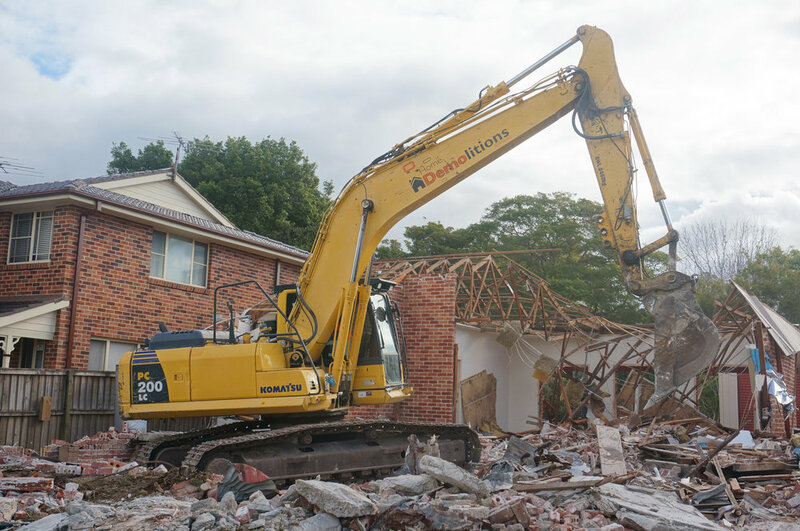 Demolition of a single story brick home in West Ryde, NSW. 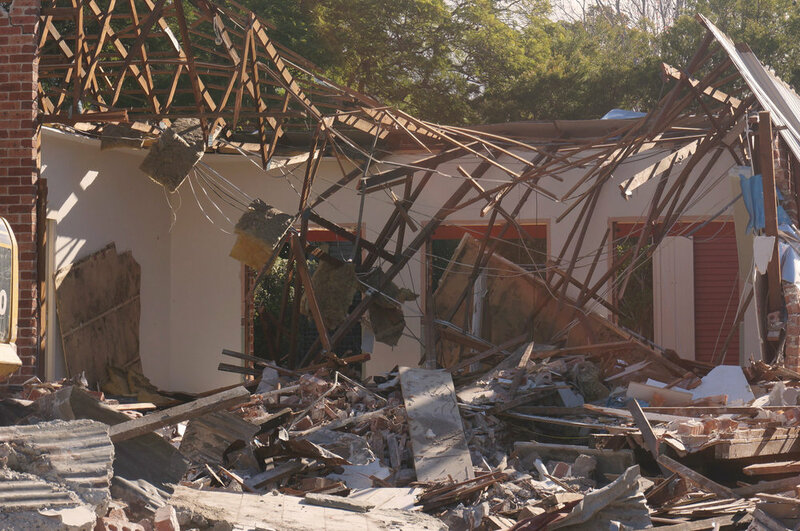 Home Demolitions can perform house demolition all throughout greater Sydney. 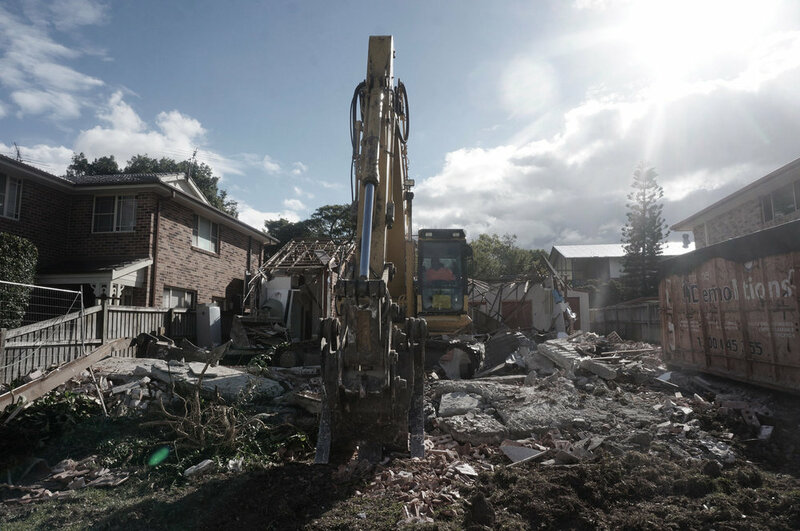 As you can see from a quick flick through our projects pages, we perform a lot of demolitions in Ryde and its surrounding suburbs. This is for a couple of different reasons, the first being that Ryde is currently undergoing a rapid period of development. 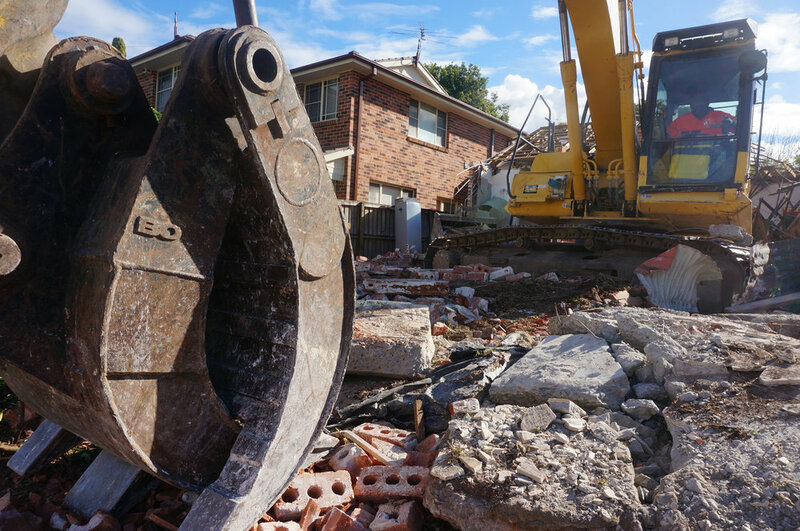 Not only are houses being demolished to make room for new high-density apartment blocks, older dwellings are being knocked down to create room for new houses that better meet the needs of the modern family. 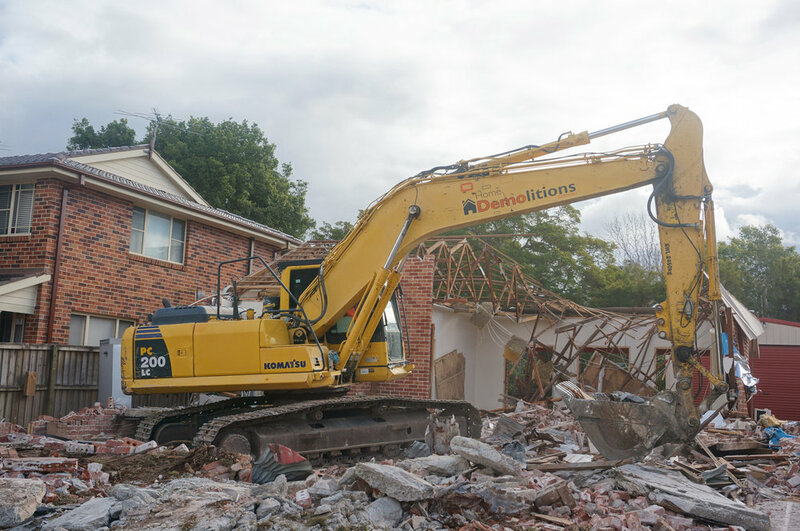 The second reason is that Home Demolitions are based in Ryde and have a great relationship with the suburb’s community through our participation in Clean-Up Australia Day, Asbestos awareness month and other community focused events. 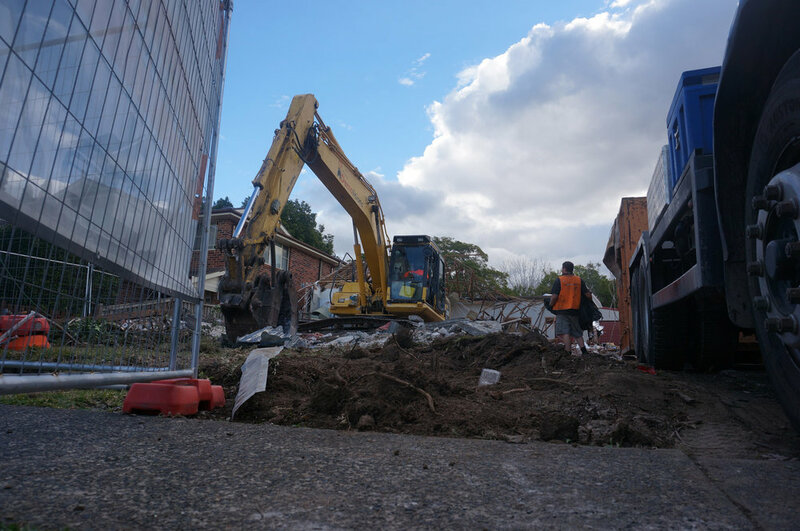 This has lead to us having a strong presence and brand awareness in the area, which in turn has lead to a significant amount of work coming from either Ryde or one of its adjoining suburbs. This single story brick house was no exception, nestled in a quiet street in West Ryde. 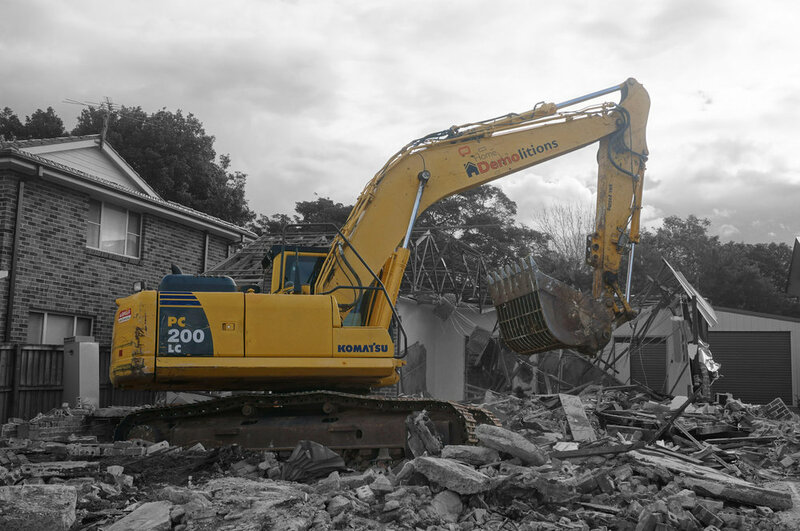 These images were taken half-way through the demolition job as our Komatsu excavator made short work of the back half of the dwelling.